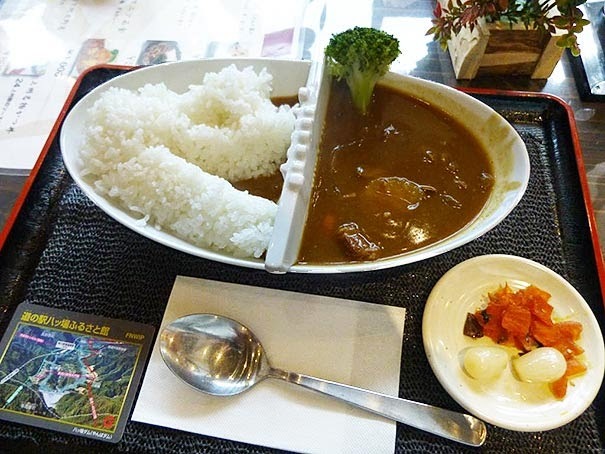 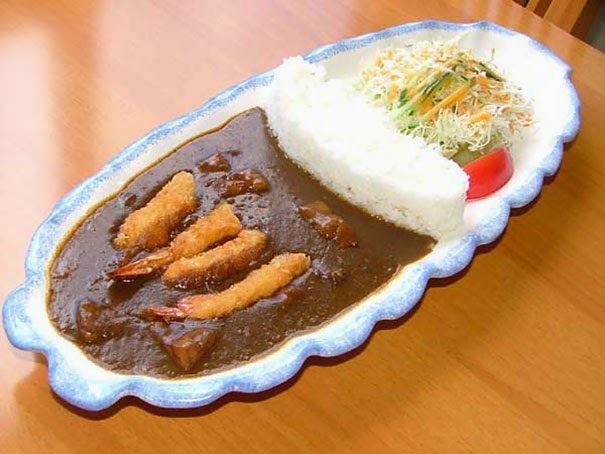 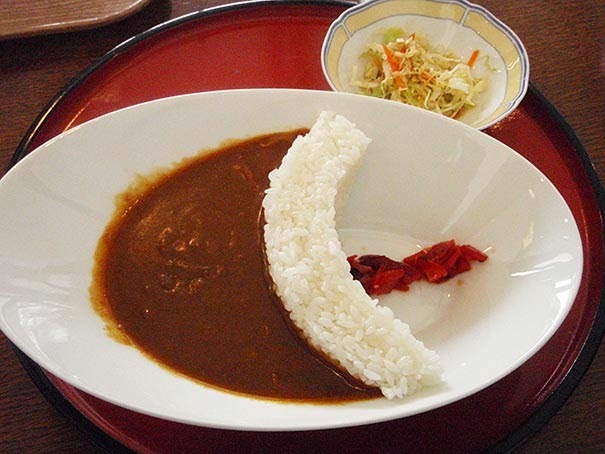 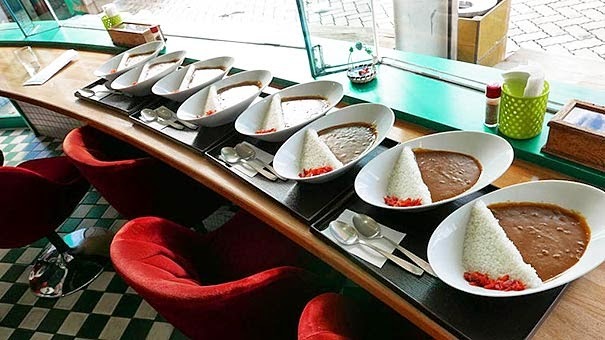 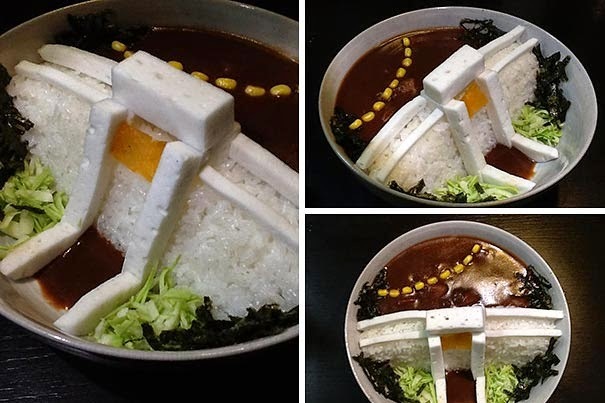 Japanese Restaurants Serve ‘Dam Curry Rice’ That Will Flood Your Plate! 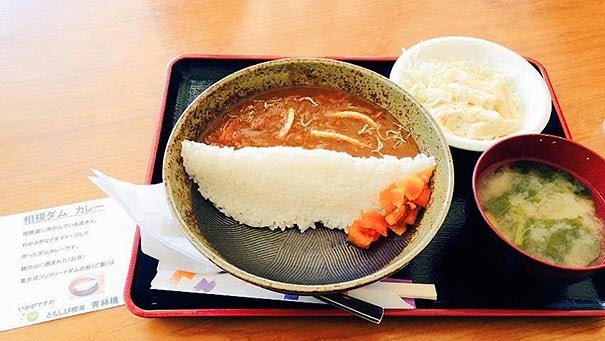 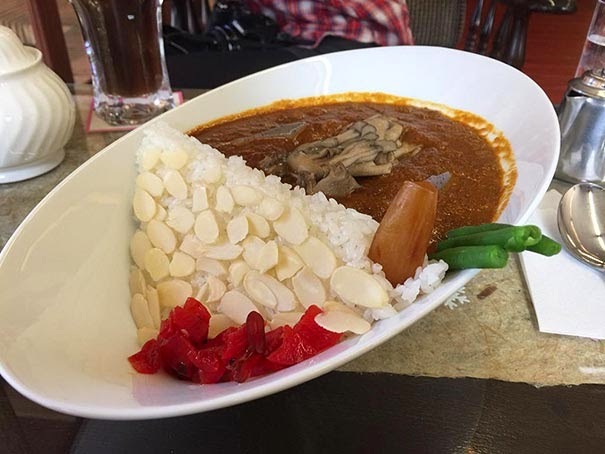 Japan have begun offering visitors ‘damukare,’ a special Japanese rice and curry dish. 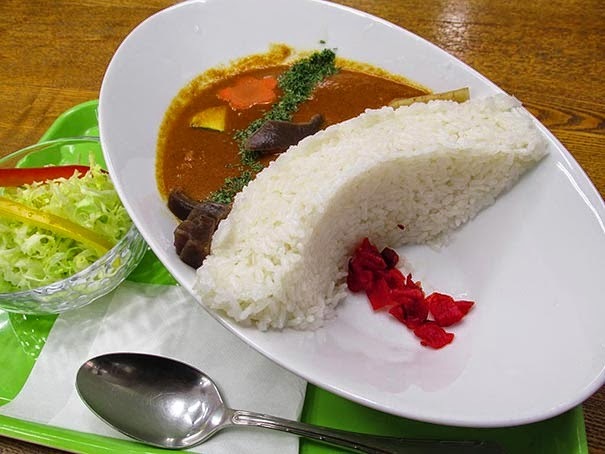 In damukare, the rice is shaped into a mighty dam that protects the diner’s dry food from a devastating flood of curry deliciousness. 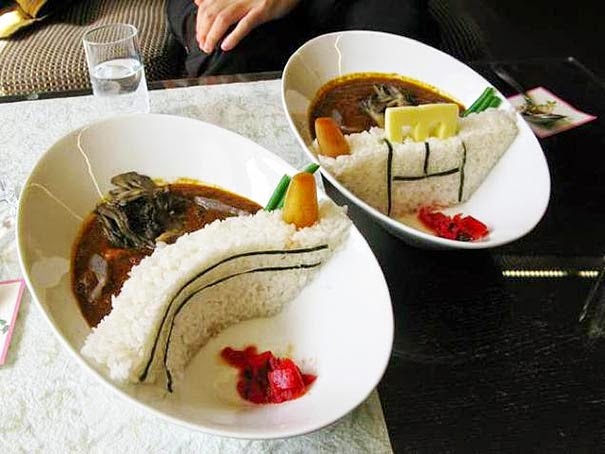 The actual meal was first seen in 1965, but it has developed as a trend relatively recently from 2007 onwards.